Coox is one of our latest designs. Having a contemporary twist on a timeless traditional design the Coox is as close to beautiful as a thermostatic shower control can get. With its extremely stylish flat crosshead handles solid metal construction the Coox is equally comfortable in traditional and high contemporary bathroom settings. 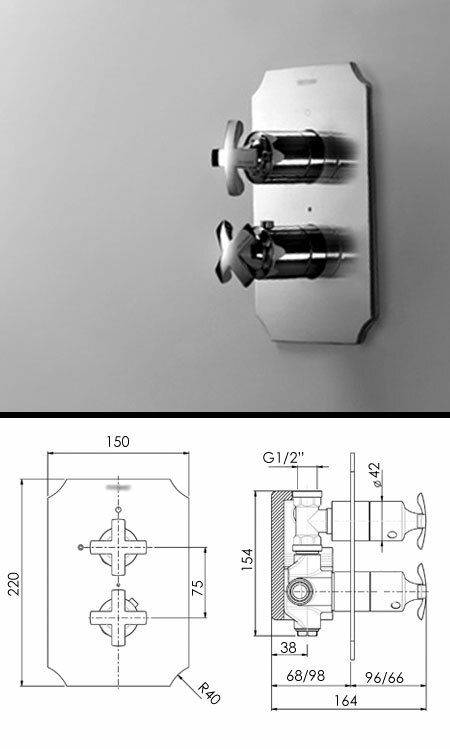 The Coox shower control can be supplied as a 1, 2 or 3 way operation. * 1 & 2 function valves supplied with 2 handles. * 3 function valves supplied with 3 handles. * Chrome & solid brass construction.